Thank you for reading thecheers.org's The-Agora articles. Those of us who watched the wall coming down in 1989, and the subsequence demise of the Soviet Union, can only look on in wonder at how quickly the Russian Federation has asserted itself to become a world power again. 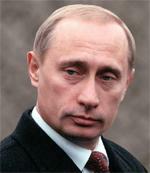 The Russian Prime Minister, Vladimir Putin, has shown a fierce nationalism that has endeared him to the Russian population. He is also a source of division in Europe, and confronts NATO, as well as being not as reliant on the West. The conversion of the world's largest state-owned economy to democracy proved to be extraordinarily difficult. The path chosen of liberalization, stabilization, and privatisation would plunge Russia into problems not imagined when the new designers of the system failed to understand there would be winners and losers in the new liberalised Russia. Russia had to remake both its Soviet era political and economic institutions at once. In addition, the commitment of a quarter of the Soviet's GDP to the cold war and the arms race meant workers had to be retrained and factories retooled. These factories also had the task of finding new markets for their products. Impossible, when almost a quarter of the work force lost their jobs. They had no money to buy the products of the new factories. Russia's economy sank into depression in the mid- 1990s. It was far more severe than the great Depression was in the United States in terms of GDP. There was a sharp increase in the rates of poverty and inequality. By mid 1993 between 39% and 49% of the population was living in poverty. Remember the 1993 constitutional crisis of tanks firing on the Russian White House, the succession crisis of 1999- 2000, the first Chechen war in 1994. It seems Russia has struggled from one crisis to another in its short history from 1991 to today. Russia bounced back from the 1998 financial crisis with surprising speed. World oil prices rapidly rose allowing it to run a large surplus in 1999 and 2000. The economy was helped by an infusion of cash, as enterprises paid off arrears in back wages and taxes. Consumer demand for Russian goods and services rose. Unemployment decreased as businesses added workers. The Russian resurgence is necessary for it to survive. Unlike the USA the proximity of hostile countries on the Federation's borders makes it nervous. The only security they know is by establishing buffers that were stripped away by the collapse of the Soviet Union. History has proven that most of Russia's neighbours don't like it very much. So, a defiant attitude to the rest of the world is normal for Russian leaders, and it is popular with its people, and more importantly these days, voters. Booming oil wealth has seen a Russian military resurgence that has alarmed its neighbours and the USA. The recent military intervention in Georgia has sent a reminder to the rest of the world that the Federation is a significant player in world affairs. Considering the basket case Russia was in the early 1990s, this resurgence is remarkable. It reflects the determination of the Russian people to be seen as strong and not ignored. To be mistrusted by western countries and its neighbours, seems to be exactly the way Russia wants it.